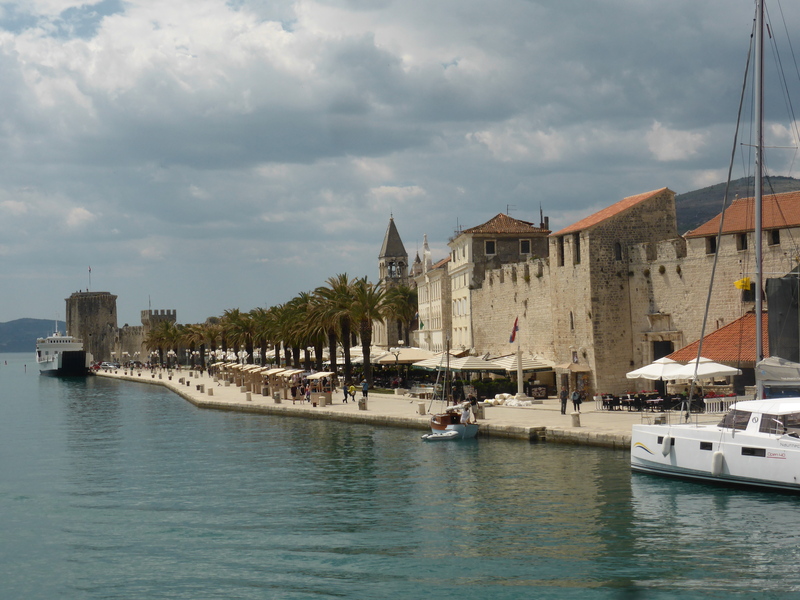 The final port of call for my cruise was Trogir where we got to spend some free time and then one final night on the boat. 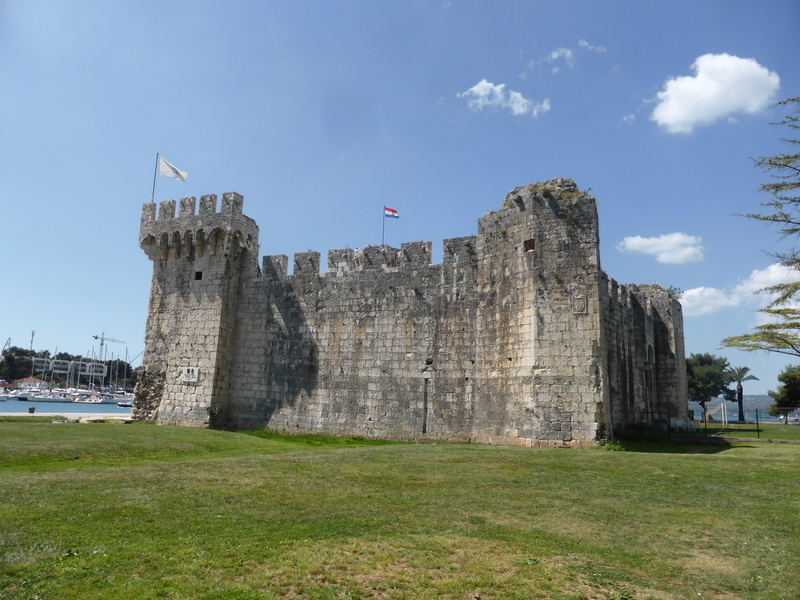 I wrote a post called “Lost in Mostar” but my second time in Trogir I actually did get lost. 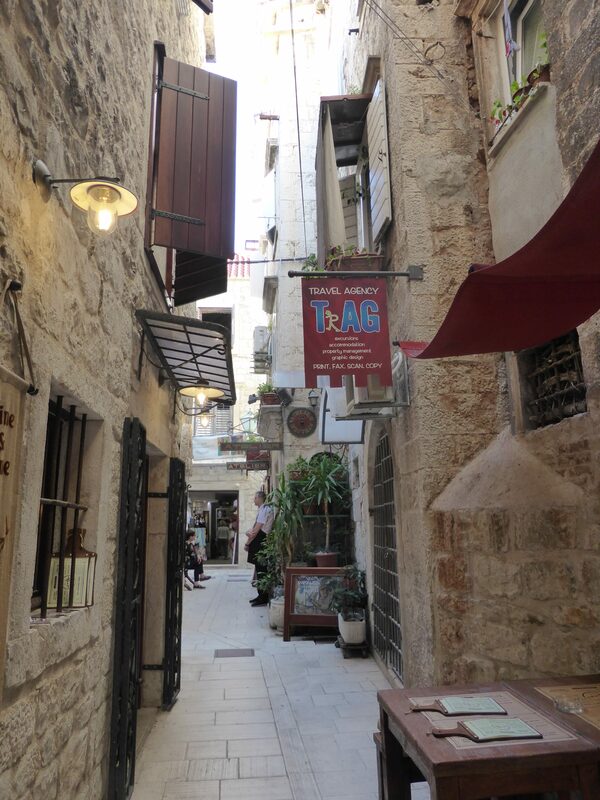 I’d picked the restaurant where I wanted to have dinner early in the evening and then went for a nice wander round the narrow streets of the Old Town. And then, when I was hungry, I decided to head back to the restaurant. At least that was the plan. Round and round in circles, past lots of familiar things, but could I find the damn restaurant? In the end, I had to leave the Old Town, walk round the outside of it, then retrace my steps from the same gate back to the restaurant. Mission accomplished, or so I thought. The restaurant had that lovely furniture which looks like a tree that has been barely worked. I sat on a chair and it was it was damned uncomfortable so I tried another which was better. But, as I perused the menu, I felt an ache building in my lower back at which point I decided to quit whilst I was behind and head to a restaurant with normal seats and hopefully cushions! I’d already picked out a second-choice restaurant. I’d actually dismissed it because it was a bit too much like comfort food and why did I need comfort food in Croatia in summer. Now bearing in mind my very recent adventure, you would assume that I would learn from experience and navigate outside of the city walls. But if you assume that, you really don’t know me at all. 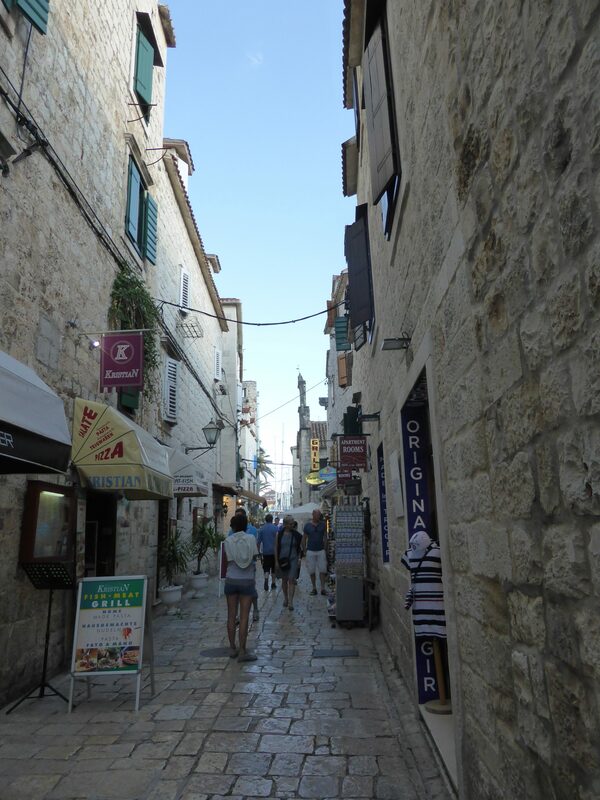 Off I went again round and round the narrow streets of the Old Town. 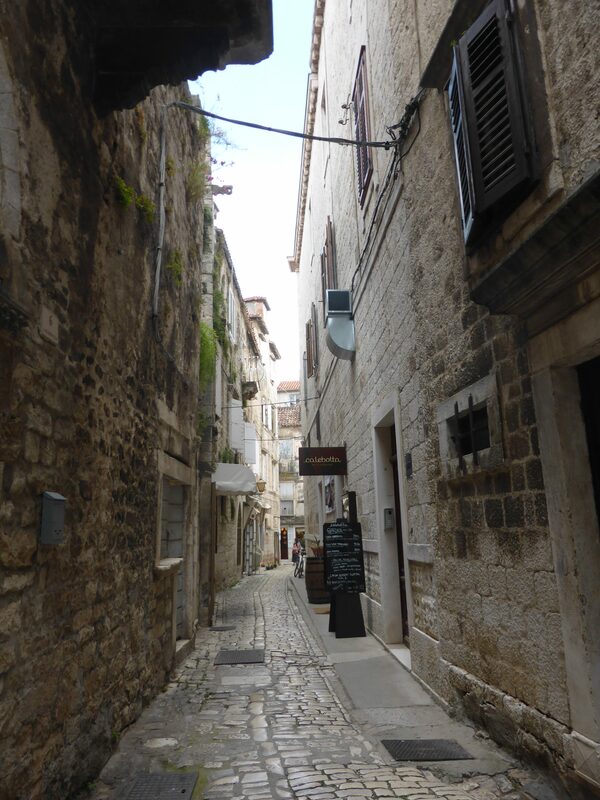 Eventually I saw sense, left the Old Town, walked along the wall and back in to find the restaurant. And that is the story of how I ended up ordering all my favorite comfort food, and comfort reading Harry Potter, in Trogir. 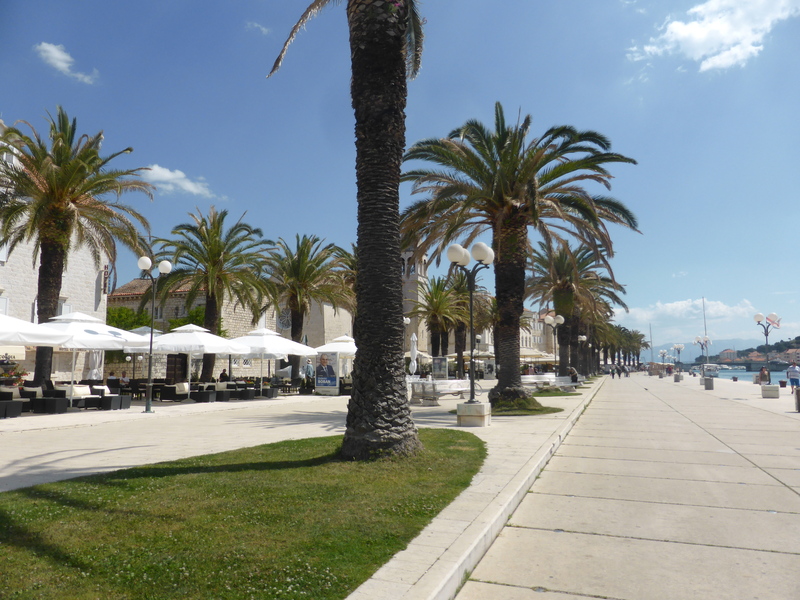 Trogir is one of the prettiest places I visited in Croatia. 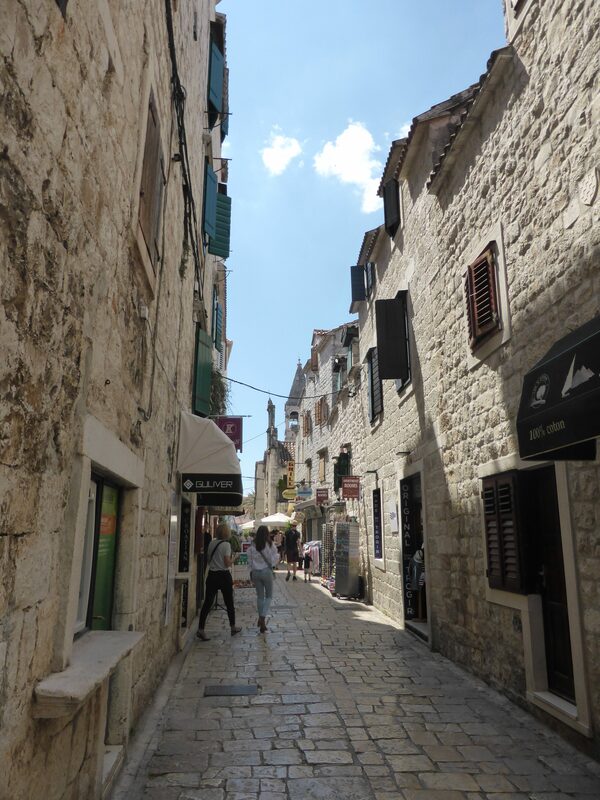 Beautiful old buildings and twisty-turny narrow streets. Both times I visited, I came by boat and it’s a fantastic way to get your first view of the Old Town which sits on its own island in the center of town. 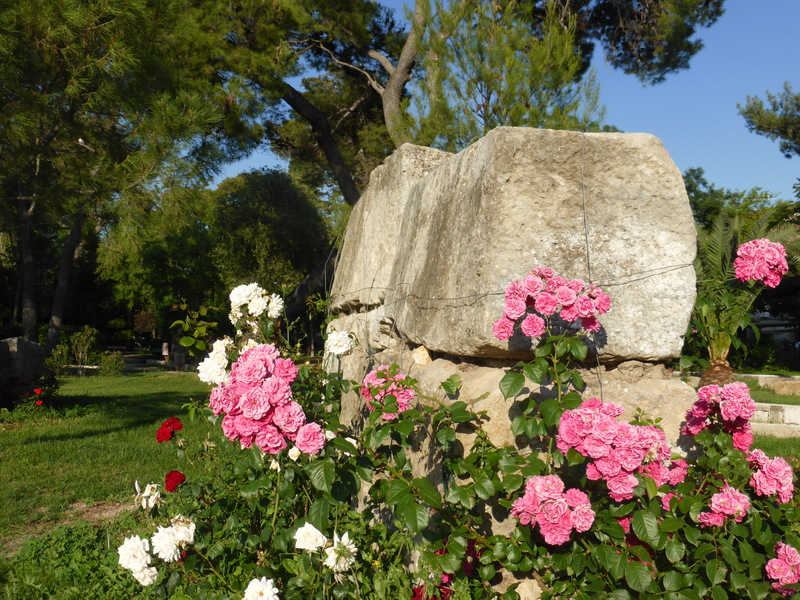 It’s much flatter than most towns in Croatia which makes it a lot more pleasant meandering around and exploring. But, apparently, also much more confusing and I normally have a good sense of direction. 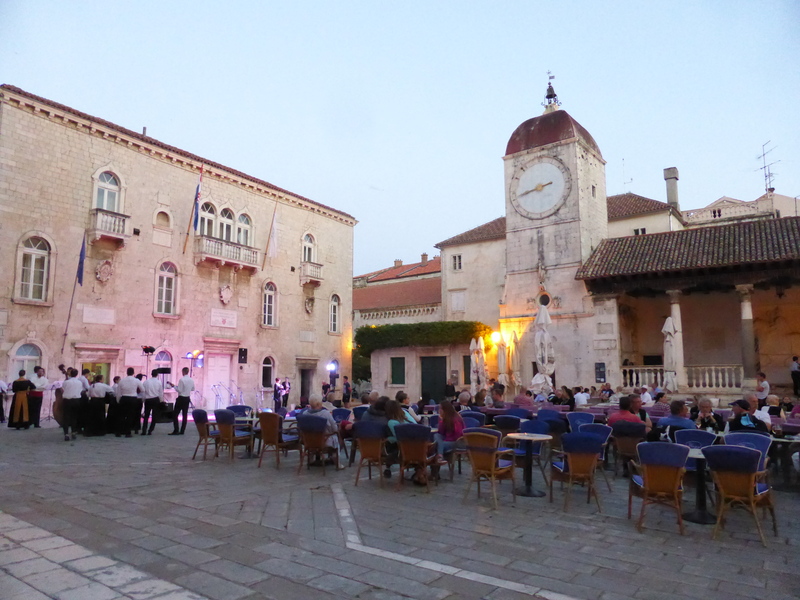 I only ate out in Trogir a couple of times but from the look of the menus I saw, it’s a great place for food. I’ll put on the list of places to come back to (so far the list includes everywhere I’ve visited on this trip, oh well). 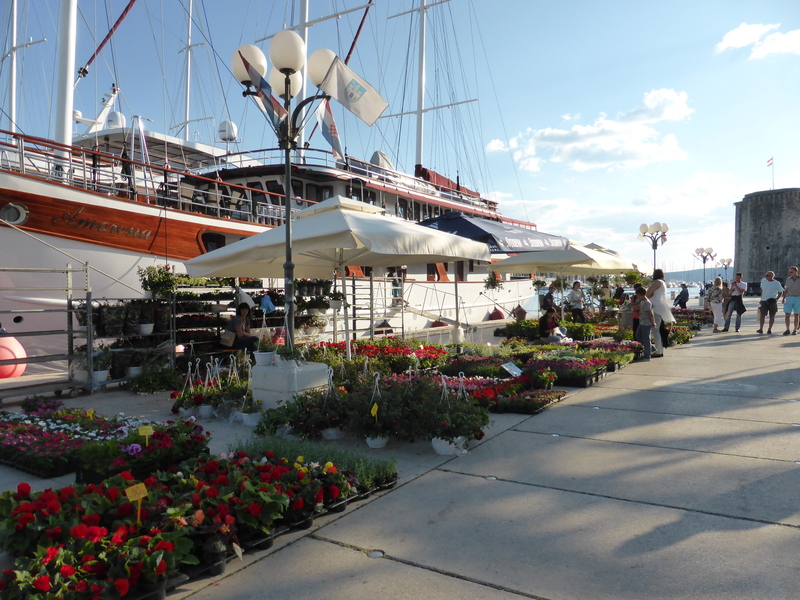 *TIP* If you are staying in Split during the summer months, catch a Buraline boat. A nice trip of about 1h15 and only 35 kn each way.